Come enjoy thought-provoking documentaries at the Center for Arts and Media! Each screening will be followed by a discussion with SLCC faculty. Free parking after 5:00 PM on the east side of South City Campus using code FILMSPRING at the kiosk. Click HERE for the Map. 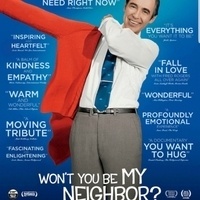 In Won’t You Be My Neighbor?, Academy Award-winning filmmaker Morgan Neville looks back on the legacy of Fred Rogers, focusing on his radically kind ideas. While the nation changed around him, Fred Rogers stood firm in his beliefs about the importance of protecting childhood. Neville pays tribute to this legacy with the latest in his series of highly engaging, moving documentary portraits of essential American artists. The game of life is a hard nut to crack. In order to play the game of life well, https://playfreecellonline.net we have to learn to be good players.